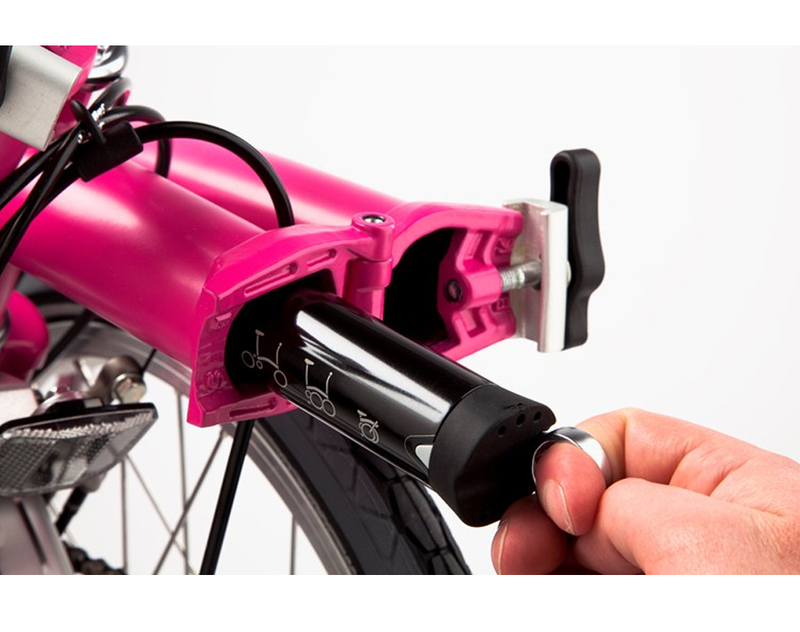 The Brompton Toolkit contains everything needed to fix a puncture, make repairs and adjustments while out on a ride! 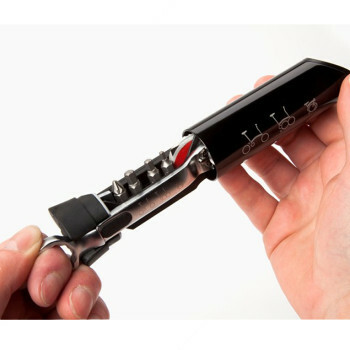 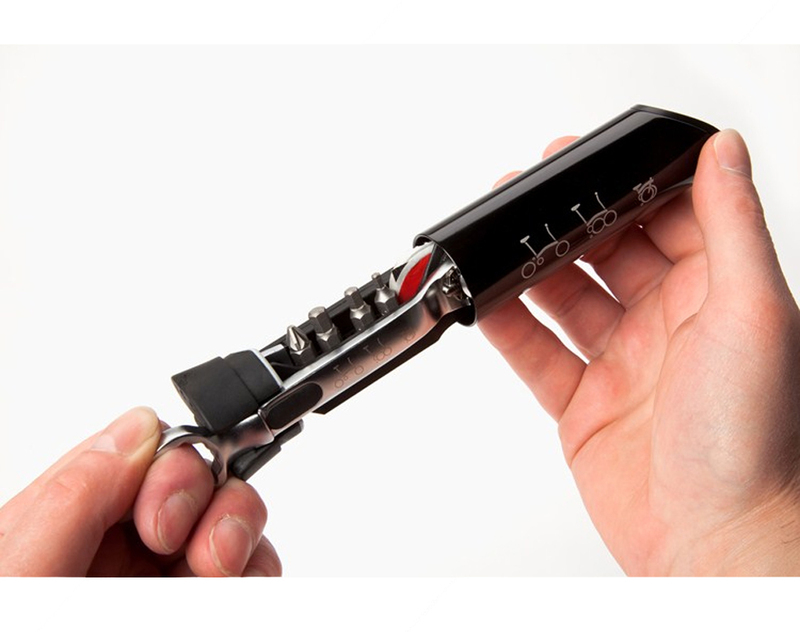 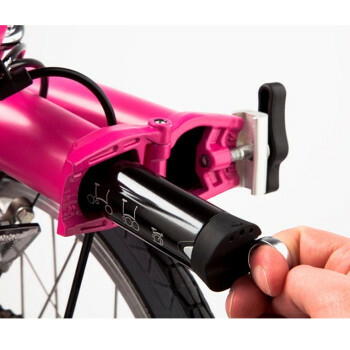 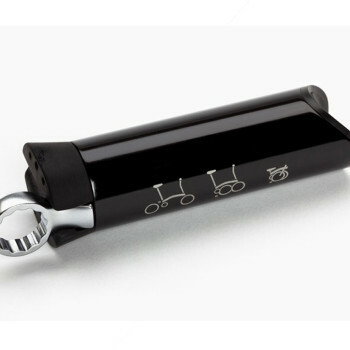 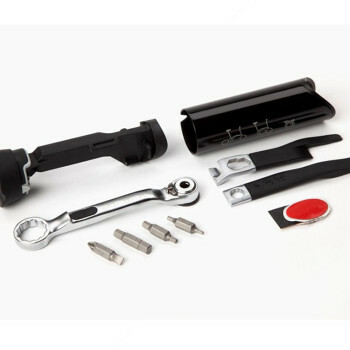 Thirteen tools are incorporated inside a hard anodized aluminum case that fits neatly inside the front top tube of the frame, held in place by magnets and a molded rubber grip. 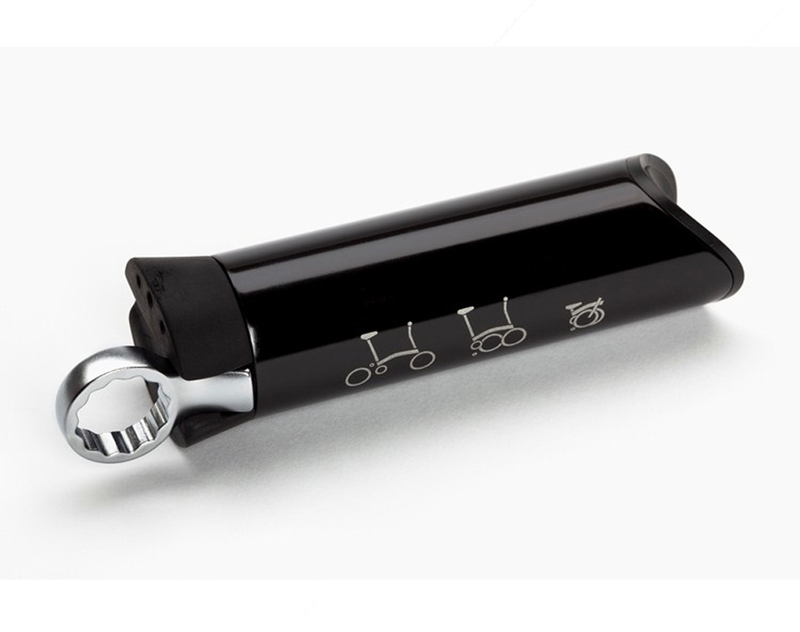 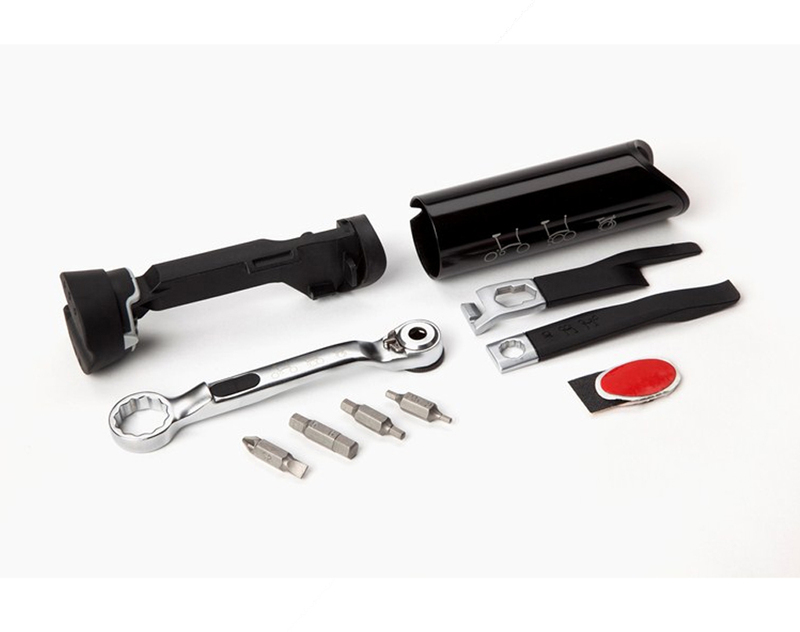 Included: a ring spanner to remove wheel nuts, interlocking tire levers, a reversible ratchet wrench drive and 4 double-ended tool bits, self-adhesive patches, and 2 sizes of spanner incorporated into the metal tire levers (picture does not show) which are ideal for adjusting mudguards.